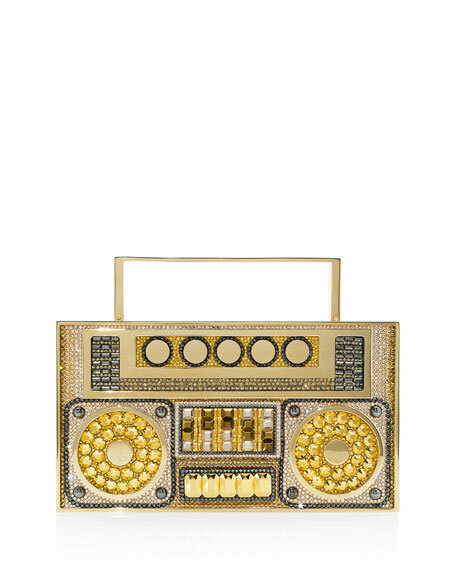 Judith Leiber Couture clutch bag in boom box silhouette and features. Fully beaded in the finest Austrian crystals. 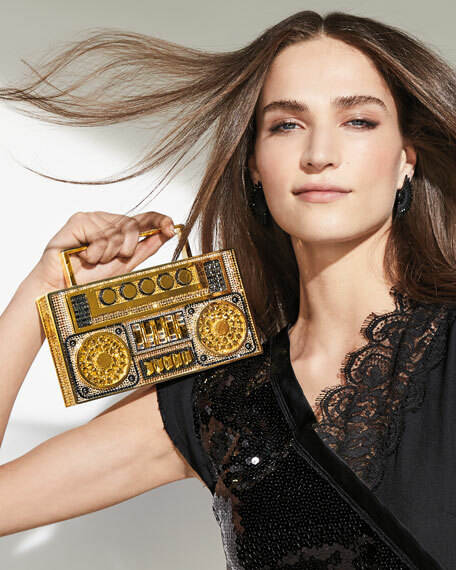 Removable chain shoulder strap, 19" drop. Hinged bottom with push-lock closure. 5.9"H x 7.7"W x 1.8"D.